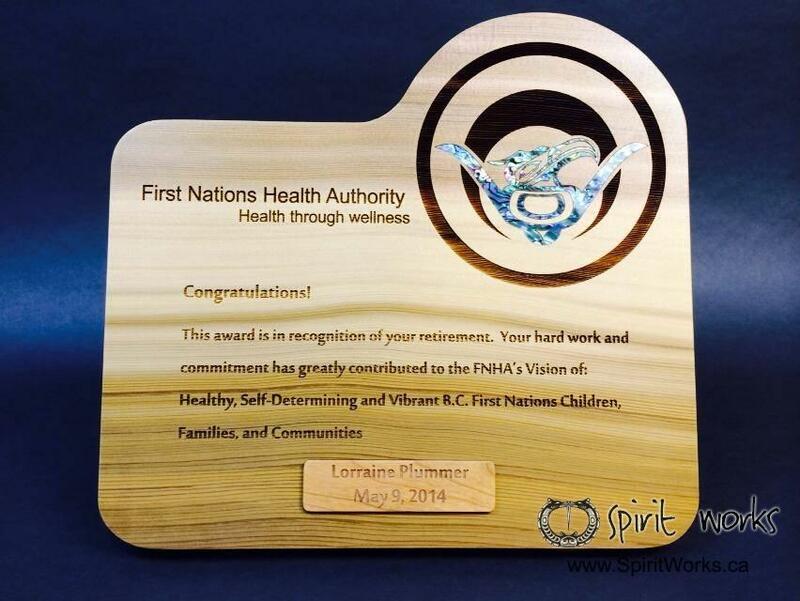 Worked with First Nations Health Authority to create their award of service. Love how the abalone just pops in the logo. Of course the cedar has a life of its own.